As you may have noticed lately I have been on a major, major barbecue kick lately. I think it’s the warm spring weather we have been having and well I honestly don’t need any excuse to have barbecue. However, May is National BBQ Month! Woohoo! I have to say it is one of my favorite kind of meals and this time of the year I must have it all of the time. 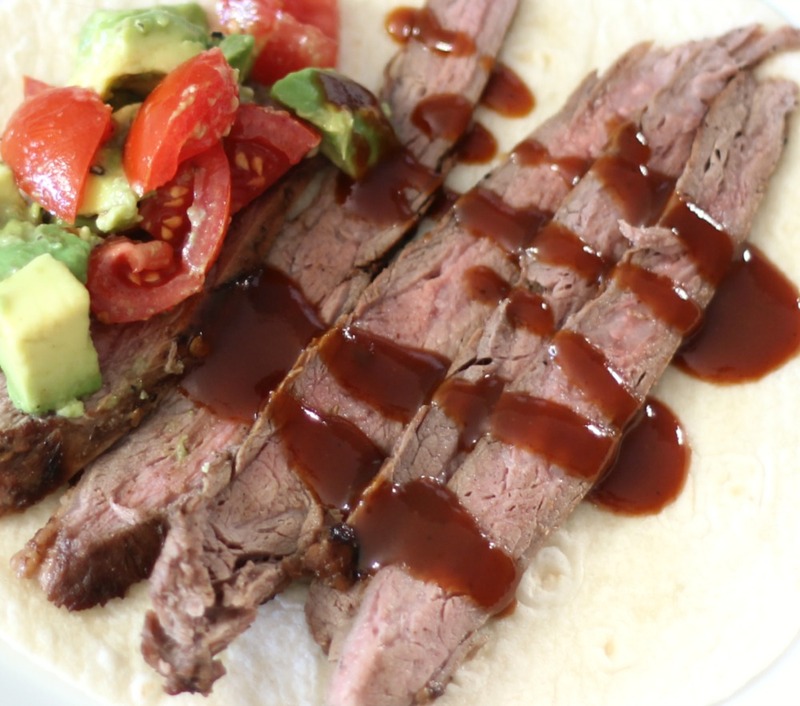 So today I am bringing you Marinated BBQ Flank Steak! YUM!!!! 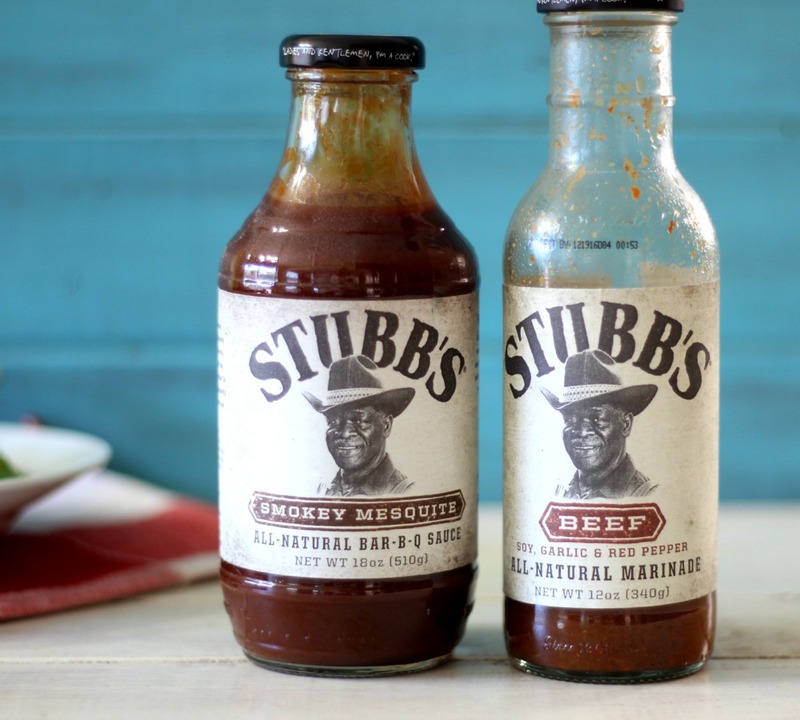 As you may know I am part of the Stubbs Insider club, meaning they send me Stubb products to try out. Before they asked me to be part of the Stubbs family, I was already a fan of their products and was excited to be a part of the Insider Club. What I like about Stubbs is that it is all natural, gluten-free and just darn tasty! They have so many flavors to choose from that it’s hard to decide what to use first! But for today’s recipe I used Stubbs BBQ Beef Marinade and for my topping Stubbs Smokey Mesquite BBQ Sauce. Both amazing flavor!! 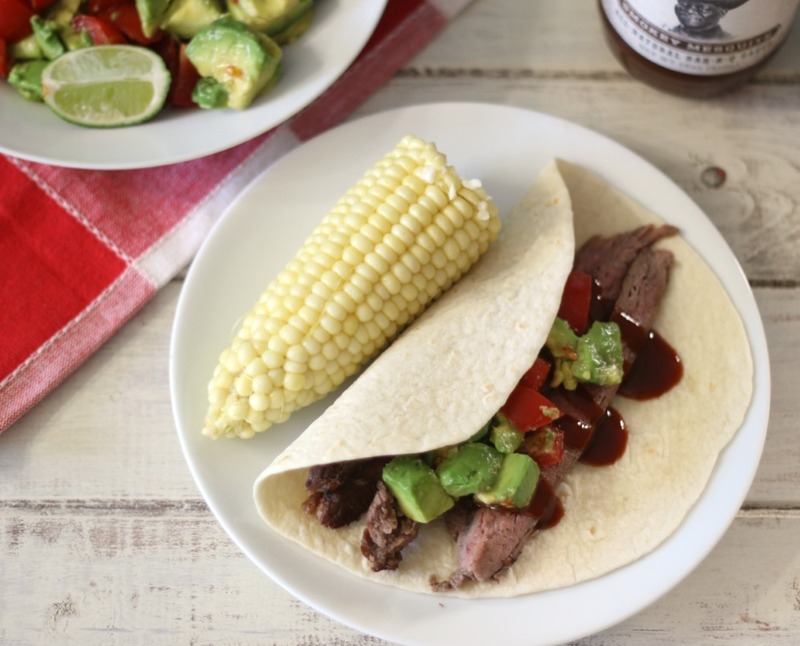 For my dinner, I served my flank steak with a tomato, avocado and lime juice salad and a side of corn on the cobb. I decided to zip it up and pop it all on a flour tortilla shell and make a taco. Oh my gosh so good and I love that I can just bite the meat and not tear at it. I’m telling you this is a super tender flank steak!! Follow my directions and yours will be too! 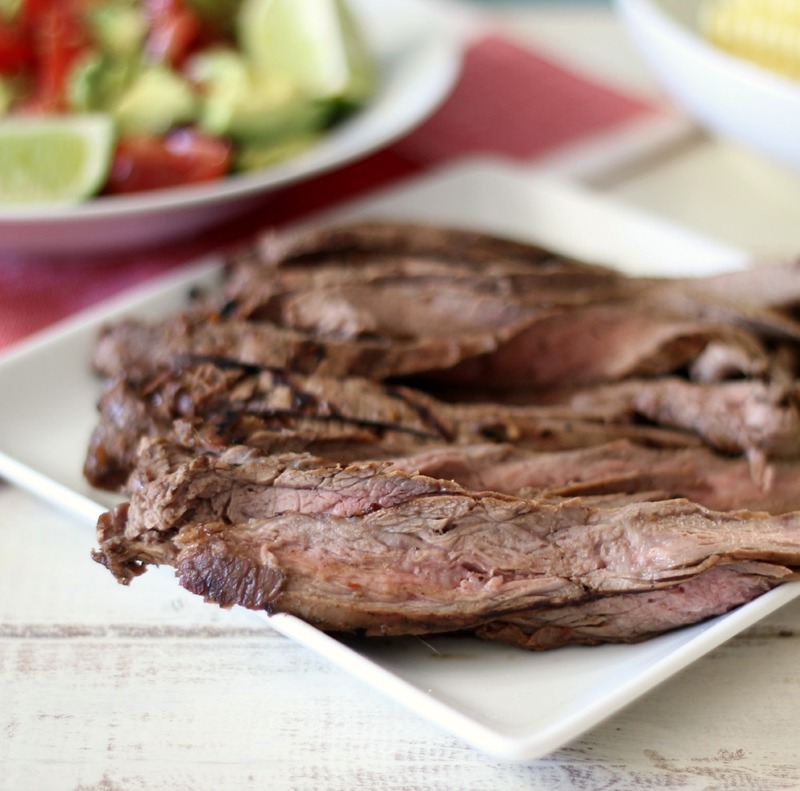 A flavorful, low calorie, tender, grilled flank steak that has been marinated in Stubbs Beef Marinade. Place flank steak in a large baggie (I used a freezer bag) and pound it to about ½" thick. 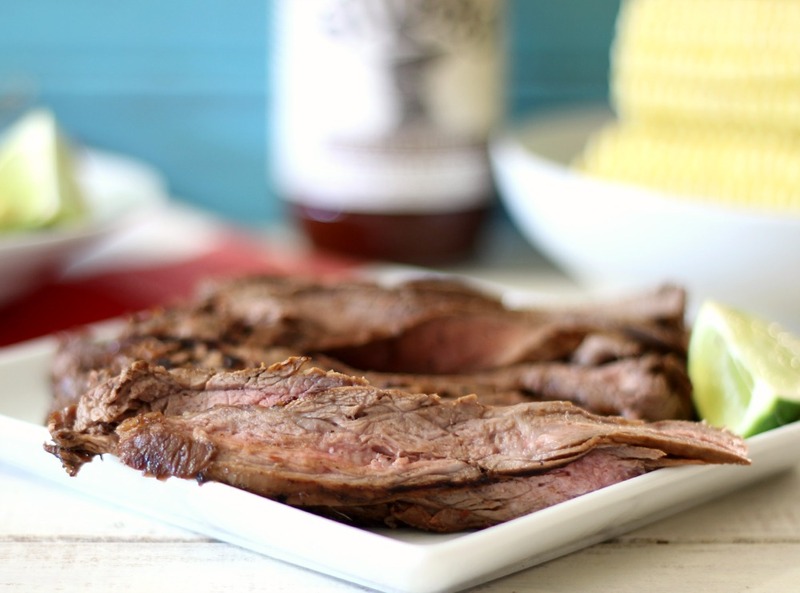 Place ¼ cup of Stubbs Beef Marinade over steak and be sure that the steak is completely covered. Place in refrigerator and marinate for 1 hour or over night. Heat grill to medium heat, place flank steak on grill discarding leftover marinade. Cook steak for about 5 minutes per side. Don't over cook the flank steak or it can become tough. 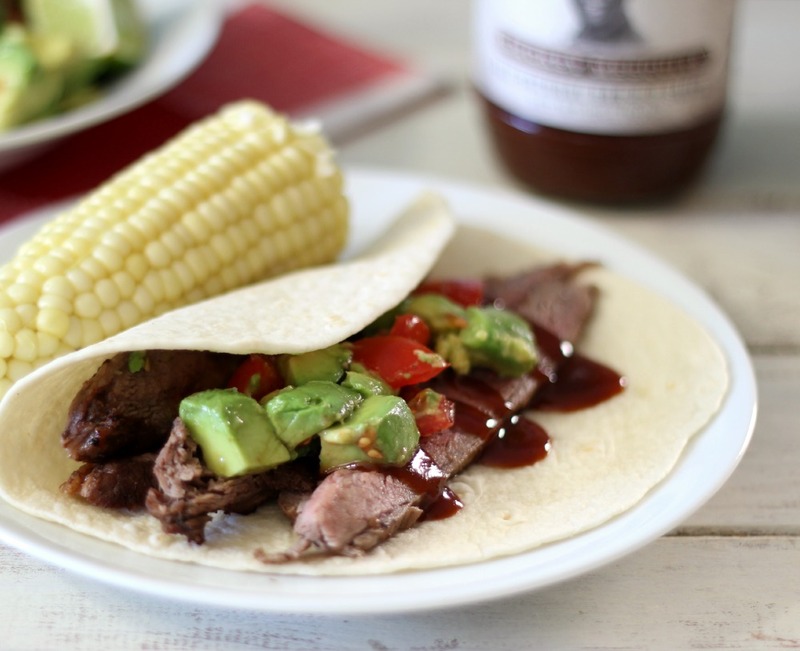 Eat plain, or add to tacos, and or top with Stubbs BBQ Sauce. You’ll have to forgive today’s photos. I don’t know what it is, but I can take good photos of meat. I try and I think they are going to be good and then I get the photos I show you, but trust me this is one amazing meal!! Have a super-duper wonderful day! To find out about STUBB’S Legendary BAR-B-Q products and recipes, visitstubbsbbq.com. Be sure to follow STUBB’S Legendary BAR-B-Q on Facebook, Twitter and Pinterest. I receive products of Stubbs BBQ, but all opinions are my own and i was not paid or asked to write this post.